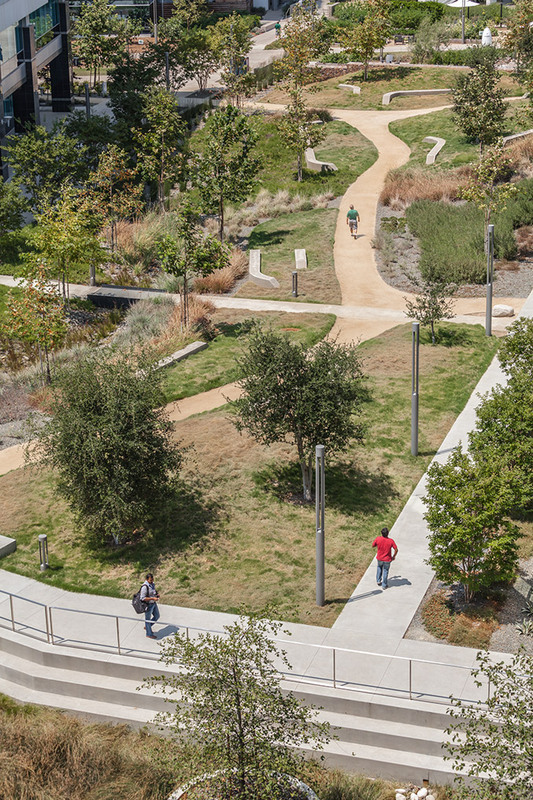 The new buildings are integrated into an overall campus environment that is organized around properly scaled public spaces, public amenities, and clear circulation systems. 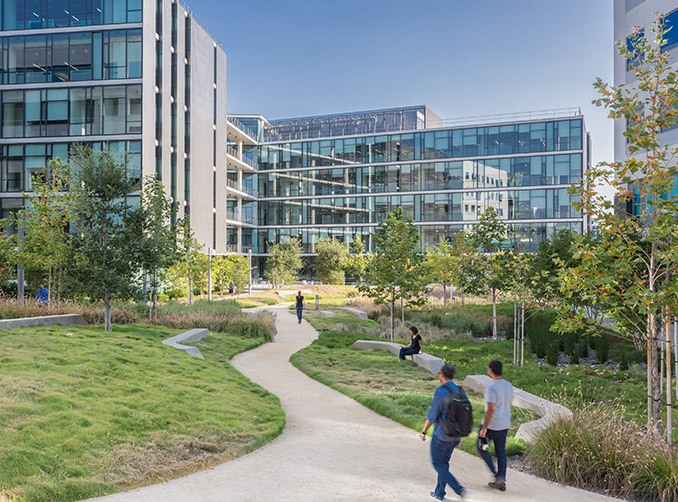 The campus experience will provide a dynamic social environment for employees, fostering a spirit of community on the new Pacific Center Campus Development. 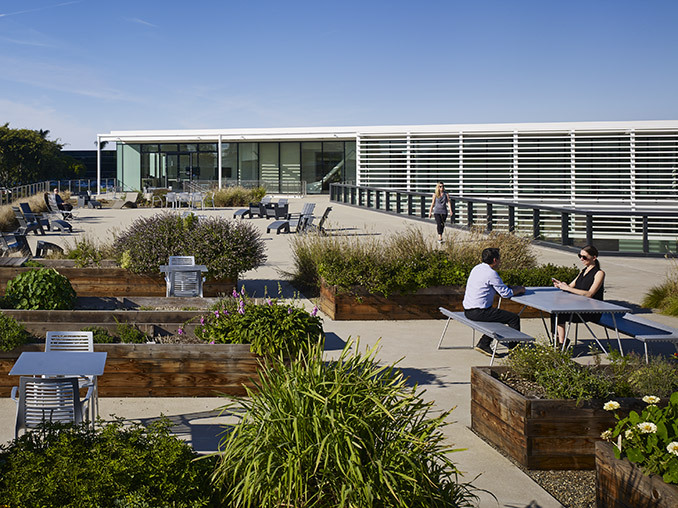 Both buildings were designed to optimize passive design strategies to achieve high-performance results and provide a high-quality interior workplace environment to boost employee productivity. 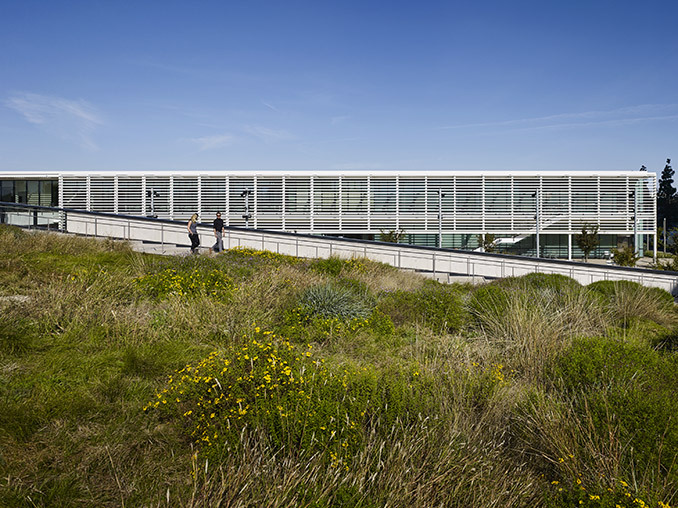 The buildings’ east/west solar orientation and narrow floor plates promote natural ventilation and daylighting, and a high-performance façade design controls heat gain and glare. 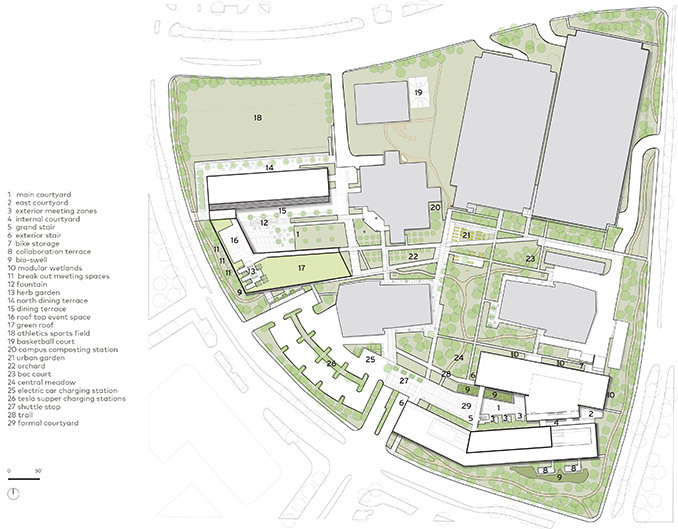 The Amenities Building houses the conference center, dining facility, fitness center and health center. The conference facility provides meeting and learning spaces that are flexible to accommodate varying group sizes while presenting new models for collaborative learning environments. 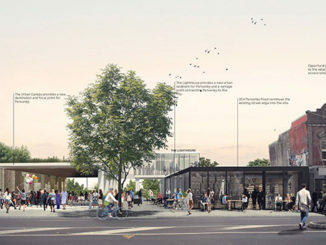 The great hall within the dining space is a transparent pavilion with direct connections to outdoor dining terraces overlooking the sports field and entry courtyard. The fitness facility is located on the second floor with adjacent roof terraces to host outdoor fitness classes. The “Center for the Future of Health” is an environment designed to inspire the next generation of health centers, embodying the true spirit of innovation while fully integrating technology into the user experience. 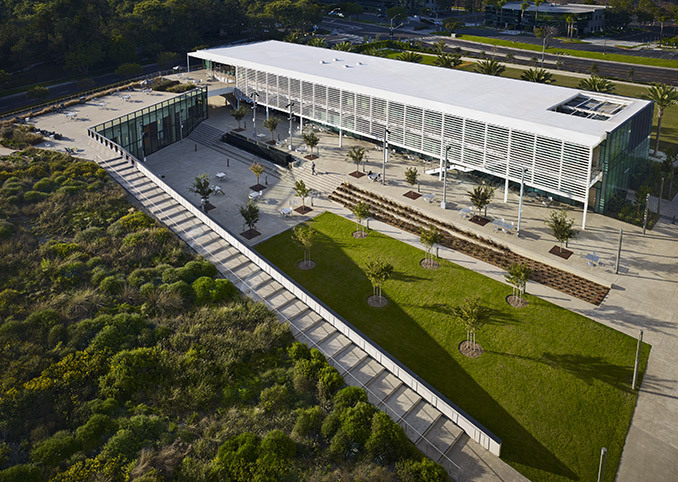 The Research and Development (R&D) Building accommodates new office and laboratory spaces. Interior environments focus on enhancing employees’ individual surroundings to be more comfortable, inspiring and healthier. Laboratories are centrally located with adjacent workplaces for teams to interact seamlessly with the research environment. Conference spaces are located at the building’s central gathering space to foster interaction, collaboration and innovation. 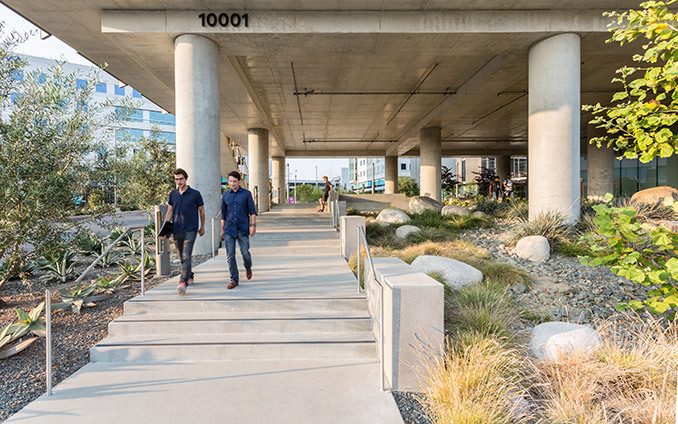 The design approach for the R&D Building organizes each of these program components as distinct “species” that are optimized for each specific use to increase their individual performance and fully serve the needs of each user and the larger development.